When I started practicing with Sifu Rafal Brzozowski, I was unable to walk without the use of a cane. Hip replacements and nerve damage in my feet had taken a toll on my body and my spirit. After a year of direction and encouragement from Sifu, I was able to regain the use of my legs to the point I no longer needed a cane. 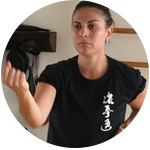 I have taken advantage of the group classes and the one-on-one private lessons offered by Lau Kune Do, which have increased my proficiency in self-defense, fighting skills and weapons training. My mobility and balance continue to improve. The daily practice in Lau Kune Do has restored my spirit and the self-confidence I need to continue to work in my profession. 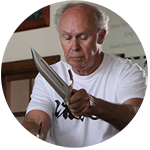 Sifu Rafal Brzozowski is a generous spirit; his instruction is clear and he is patient. Tai Chi improves both my balance and my temperament. Our student body ranges from children to "the mature" yet Sifu's spirit ensures that there is no competitiveness among us; we practice together even as we each walk our own path. 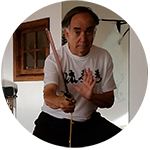 I have been a university professor for three decades and sifu ranks among the best instructors I've encountered. I started taking Kung Fu at the Santa Barbara Lau Kune Do Temple to be able to defend myself and for regular exercise. Sifu B has taught me so much more. The most important lessons I have learned are about self-discipline, determination and persistence. Through martial arts training, I have learned that perseverance always triumphs over frustration. In addition to Kung Fu I found great solace and peace of mind in Tai Chi and Qi Gong. As my body trains and becomes coordinated through Kung Fu, my mind becomes less scattered and frantic through Tai Chi. I am so grateful for the Santa Barbara Lau Kune Do Temple, to Sifu B's wonderful teaching and to all my fellow students. I came for exercise and self defense, I continue for lifelong learning and spiritual growth. 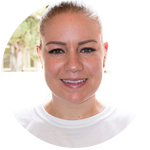 I came to Lau Kune Do because I wanted to find a way to coordinate and enrich my mind and body. I wanted to find meaning. And I did. Sifu has been such a wonderful teacher and mentor. He cares about his students' growth, and his skill and expertise in the art is formidable and impressive. My fellow students show an earnest desire to learn and improve, and Sifu and his students constantly inspire me. There is really a sense of warmth and friendliness here, such that I always look forward to attending class. I have also advanced and trained in Lau Kune Do to the point that Sifu allows me to teach the beginner classes, and teaching has deepened the depths of my passion for this martial art. The Lau Kune Do temple at Santa Barbara is one of a kind. Here is a place where you can explore, get stronger and more confident, and find another home. I'm so happy with my decision to join Lau Kune Do. 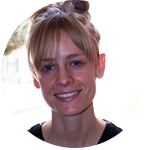 Not only do I feel stronger and healthier on a physical level, but I believe my practice has brought more balance and focus to the rest of my life. 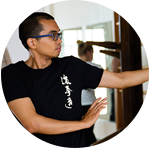 Sifu Rafal is an amazingly knowledgeable and patient instructor. I also consider him a role model, as he's immensely kind, humble and an all-around good person. I have much love and gratitude for him and the rest of the temple members! I began training at the Lau Kune Do Temple of Martial Arts, Santa Barbara with Sifu Rafal Brzozowski in early 2017. Lau Kune Do has taught me patience, discipline, courage, and to be self-confident and tenacious while being mindful of others. 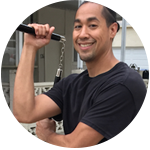 I continue to gain self-defense knowledge and build strength through the practice of Kung Fu and Wing Chun and continue to heal my body via Tai Chi and Qi Gong. I have grown passionate about Lau Kune Do and consistently train at the temple. I truly believe that Lau Kune Do is a way of life. Sifu Browozozki and the Lau Kune Do family has helped me become a better human being. I have been training with the temple since the age of 5, and at 22 years of age I must say it has been one of the most rewarding things I have ever experienced. Great place to seek fitness, wellness and knowledge of your own body. 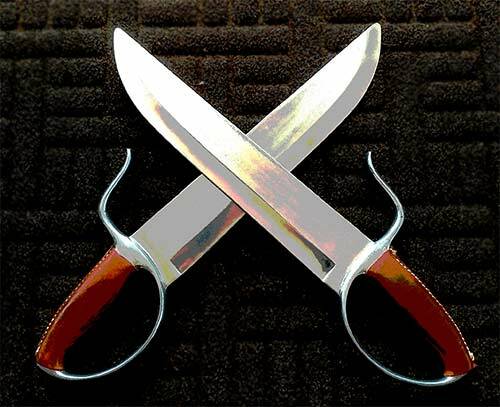 Would highly recommend this place to anyone seeking USEFUL self defense techniques, tai chi exercise and a positively constructive environment while getting in amazing shape. A year after the birth of my son, I decided that I was finally ready to try and get back into shape. Feeling unmotivated by traditional gyms and the workout classes I had done in the past, I started looking into martial arts training. I had trained in Tae Kwon Do as a kid but I wanted something with less kickboxing and more practical self-defense training. After some research, I decided to visit the Lau Kune Do Temple and meet with Sifu Brzozowski. He took me on as his student and I was impressed with his professionalism, skill, and knowledge of both Kung Fu and Tai Chi. 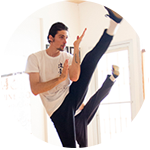 Embarking on the task of learning a complex martial art can be quite daunting as a new student. Sifu’s patience and inclusiveness foster a great learning environment for all levels. After eight months of Kung Fu and Tai Chi classes, I have surpassed my fitness goals and look forward to learning more. I have been studying the Chinese martial art known as wing chun, and have become a big fan of Sifu Brzozowski. He is an extremely knowledgeable, articulate and very patient teacher. In addition, seeing him actually demonstrate specific techniques is truly inspirational. One immediately understands what wing chun is all about from a physical or external perspective. Doing wing chun well requires great balance, flexibility and body control. The training and instruction I have received at the temple as well as my own practice has allowed me to improve my abilities in all three of these areas. I am quite new to Lau Kune Do, or any martial arts for that matter, having joined just a few months ago. Sifu Rafal as well as the other instructors and other members have all been extremely welcoming and have made me feel right at home since the very first day. The training itself is difficult but gratifying, and I can already see positive results from my short time here. I feel lucky to have found this Temple and its members, and am honored to be a part of it! We had been wanting our children to learn self-defense for some time and had considered a half dozen or more places before we visited Lau Kune Do. Sifu was low-key but welcoming. We could not have made a better choice. 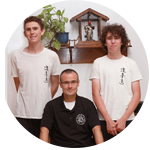 Our kids hold Sifu in high regard and we think he has been an excellent influence. The practice teaches perseverance, focus and self-regulation. They have learned about balance and the importance of form. This is all done in a respectful, positive environment. We feel blessed to be a part of the Lau Kune Do community.